You might think of the land as your land, but it's still part of the natural cycle. Harnessing the benefits of the natural order of things will help solve an entire range of problems. Saskatchewan's approach to appeasing cranky farmers is simplistic and fundamentally flawed. 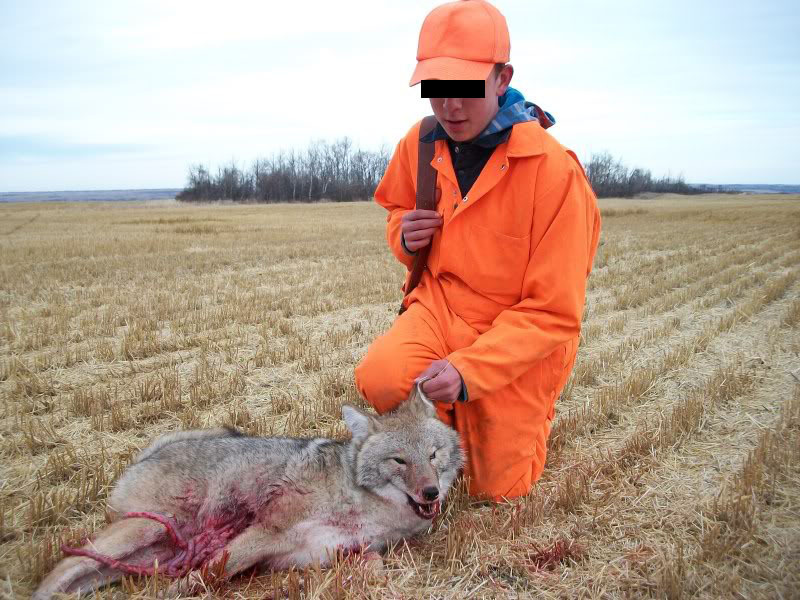 Putting a bounty on coyotes, declaring gophers as pests and financially supporting their extermination betrays their misunderstanding of the systems at work. Gophers eat your crops? Maybe clearing all the land for crops isn't the best way to make the most food or the most money. Natural methods are more subtle and more effective. They're also much harder to explain to people and governments who would much rather shoot, poison or explode whatever pest is irritating them at the moment. Leave some habitat for the animals like the owls, falcons and coyotes that eat the gophers. Use them. Let them do your pest control for you. They'll work for free. Produce less food. Accept limited crop and livestock losses as part of the cost of doing business in a world that isn't just about us. The world is good to you. Return the favour. Reducing the food supply will reduce obesity related diseases and level out human overpopulation and help our civilization continue to exist here. Charge more for it. You're in business for the money anyway. We paid 14% of our disposable income for food back in 1970. Now we're down to about 10%. We'll pay more again, and the reduced food supply will help raise the prices. Sell the food locally and directly. Selling food to people you know has a social benefit and increases local resilience, in addition to the economic and environmental benefit of not having to transport the food long distances. The biodiversity that exists in nature needs to be maintained in order to preserve the resiliency of the ecosystem. If we wipe out the web of ecological systems in favour of large monocrop plantations, we put ourselves at the same kind of risk that caused the Irish potato famine. Embrace the gophers and the coyotes. Go watch The Lion King again. Understand the circle of life and your place in it. Take a step back from the myopic world of agribusiness, get rid of the farm subsidies and charge what you're worth. You won't earn the money and the respect you deserve until your customers pay you what you're worth. They need to eat. They'll pay it, but they need you to take care of the ecology that provides the food in the first place. Take care of your land and the complex ecosystems on it and it will take care of you.